Broken Sword: Angel of Death was the fourth installment in the Broken Sword series. It was the first game in the series to be developed by an outsourced company. Sumo Digital programmed the game, in the Emmersion engine. 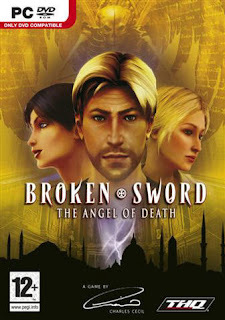 The story and puzzles were provided by Charles Cecil, the founder of Revolution Software, who had an executive producer credit on this game. The same cooperation between the two companies would later be seen in Doctor Who: The Adventure Games.